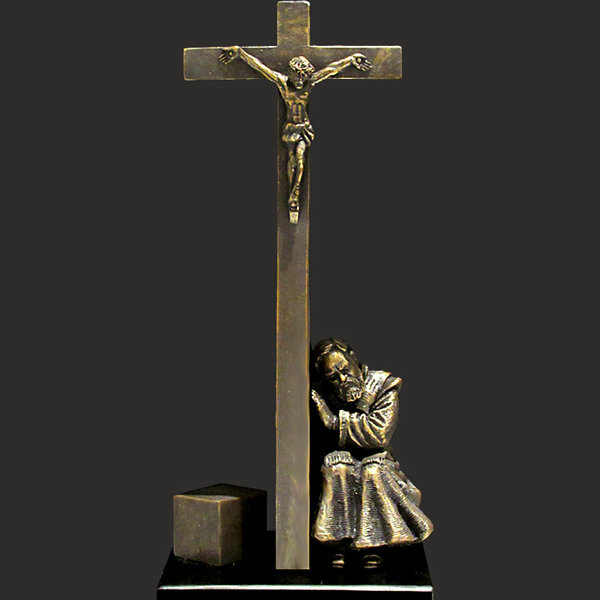 A sculpture of St. Padre Pio as confessor that conveys the true power of the sacrament of reconciliation. Through the confessional window the face of Jesus is revealed. This solid resin-stone cast is coated in a realistic bronze finish and is mounted on a solid matt black base. Timothy personally sculpts every original small masterpiece complete with his signature or monogram. Each replica is detailed by hand to the exacting standards of this modern day master sculptor.